While the new website isn't officially public yet (waiting on translations), I took some time to enhance the blog engine. With a few lines it now supports markdown which greatly reduces the uglyness of the posts in the database and perfectly fits my needs. Say hello to the new website ! Welcome to the all-new, freshly redesigned smallte.ch website! I recently did an experiment with icanLocalize.com to evaluate if it was a good option. They are a rather low priced translation service that specializes amongst other stuff in translation for iPhone apps. 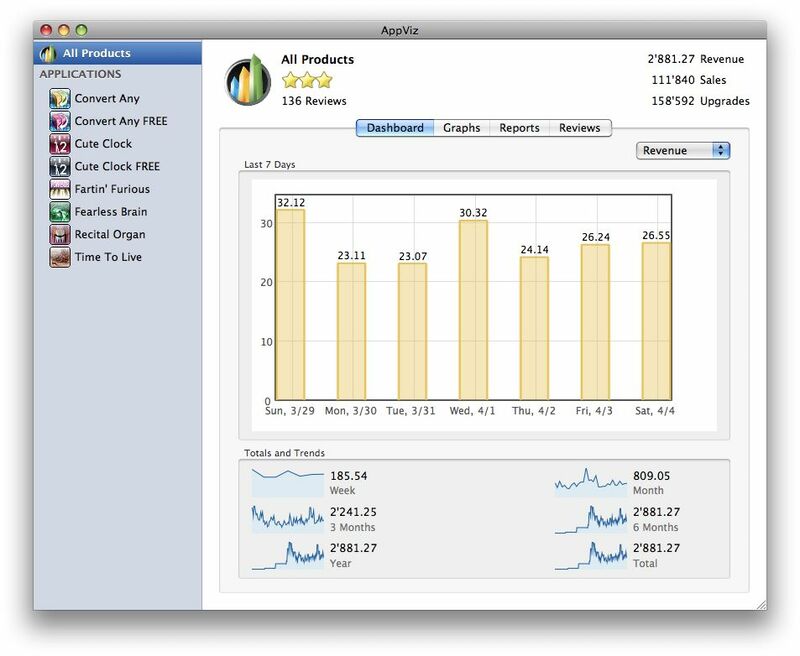 AppViz is a great tool for developers! I just found out about AppViz, which I immediately purchased. The americans have woken up!